Transworld is from March 6th – 11th in ST. Louis, MO so if you plan to attend, please stop by and say hello! For those who don’t know what Transworld is, it’s a Halloween convention where vendors can show off their latest products for the upcoming year. This will be my second time attending Transworld. The convention is always a lot of fun but this year it will be kind of surreal seeing the trade show booth up. I’m hoping the display will bring a LOT of attention to Twizted Creationz and Camp LIGHT! 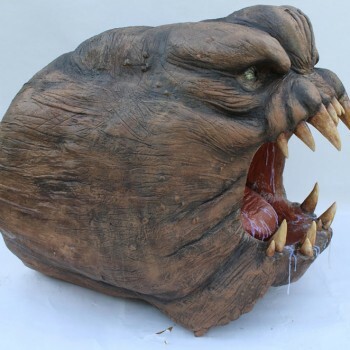 By the way, you can read about my first Transworld trade show work featured on Discovery Channel’s Making Monsters. Before I go, I want to give a special thanks to my brother James, his fiancee Spring, and my Mother for helping make this booth possible! Without all of their help there is no way I could have gotten it completed! 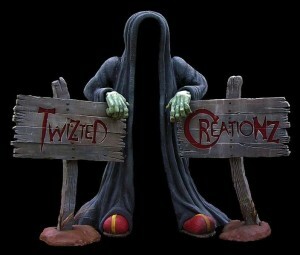 Visit my trade show portfolio to see more images of the Twizted Creationz booth! Congratulations! I hope Transworld works out for TC and for you this year. If I can make it this year, I will stop by.